I rarely use my blog for personal stories, outside my interactions with cities. Still, I’m happy to report my PhD dissertation, entitled Urban Climate Governance: the Role of Local Authorities, was accepted for publication and public defense at Wageningen University! I’m excited and relieved, finding out on my birthday. As I look to the defense, I also reflect on how I got here. 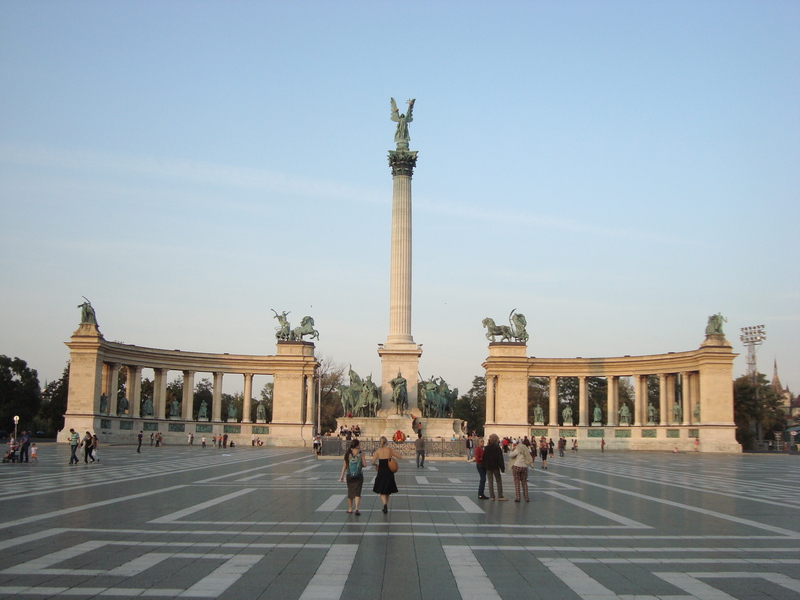 In 2005 I moved to Budapest, for the Erasmus Mundus Master of Environmental Science Policy and Management, or MESPOM, taught by Central European University, Lund University (Sweden) and several others. MESPOM changed my life. While there are many amazing MSc programmes out there to prepare students to address complex global challenges, MESPOM is unique: combining high quality education, a truly international faculty and student body, changing university locations, and equally, sincerity and integrity. In MESPOM we were reminded to balance ambition with humility; to build bridges and expand sympathies; to understand (and celebrate) similarities and differences among each other. It’s been 10 years, but MESPOM remains the most defining experience I have encountered and I’ve stayed close to the MESPOM family: teaching in Lund; assisting field trips in Budapest; serving on alumni network boards (IIIEE in Lund and the Erasmus Mundus Network), meeting alumni at UN environmental negotiations on chemicals, climate change or wetland conservation in Geneva (Switzerland), Doha (Qatar) and Punta del Este (Uruguay). As a sappy sentimental type, I’ve also returned to Budapest several times to reflect on the experience. In 2007 and 2008, I was honored to deliver the MESPOM graduation speech in Budapest. In 2009, I was invited back to Budapest as the alumni speaker at Central European University’s Opening Ceremony for the 2009/2010 Academic Year. We gather here today, from near and far; a diverse audience of mixed backgrounds, of varied professional and academic experiences… but with a few things in common. Budapest – most certainly – but more so, what resonates stronger is what brought us here in the first place: Central European University. We come to listen to professors and lecturers, to debate theories, to question what is written, to challenge our course mates, and in doing so, to challenge ourselves. And during this, the CEU journey, both in the classroom, and importantly in our day-to-day interactions with each other, we have learned a great deal of the current state of the world, where it is headed and where and how we can be a part of it. Because CEU is not any ordinary university: it is unique in its mandate; it is unique in its international student body; it is unique in its place in the world. 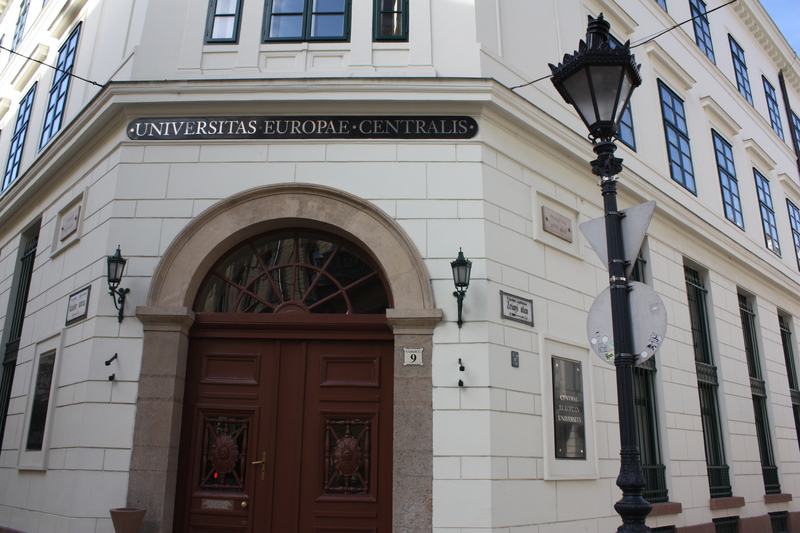 CEU, by its very foundation, stands at the door of democracy and the values of an open society. But CEU does not simply knock lightly at this door, but boldly pounds – a sound and a movement that can be heard and felt in close proximity and resonating in distant reaches. It represents the very notion of responsibility to society, that academia was founded upon. This is CEU; and this is us. At the crossroads of history and geography, we come to learn, to be challenged, to work hard and then – most important of all – at the end of our journey, we are obligated to put our experience and learning into action. But how do we do that? So then, we are called to be leaders, and leaders we have become. But importantly, we have learned the different facets of leadership, and in humility we have also learned to follow: to sometimes speak, and sometimes listen. We have learned to work together. I believe life is built on the experiences we accumulate which shape our behaviour and our passions. I am happy to stand before you today and tell you that two of my greatest heroes are my father and my mother. From an early age they instilled in me values of integrity, equality, hard work, servitude, humility, forgiveness, as well as humour. My family is my centre, and every place I venture to, every activity pursued; I have done so backed by the values instilled. With strong support behind me, I was eager to confront what was beyond the comfortable and familiar, to understand how the distant corners of our planet interact with each other. Curious as to how my birth country, the United States, influences its neighbours, I moved to Haiti at age 18 to volunteer with rural education. Haiti, the poorest country in the Western Hemisphere, shaped every decision I have taken since. A year later I enrolled at the University of Washington in Seattle, studying international relations and development. I studied in Thailand: spending time in rice paddies, and with informal waste-collectors who scavenged in the nearby landfill. Standing knee-deep in garbage, flies swarming in the sweltering heat, I felt the backlash of irresponsible consumption. But despite the hardship of this particular situation, what I remember most is the professional atmosphere, kind hospitality and worker camaraderie that existed. I was humbled by the lessons learned from community leaders in terms of their outlook, their ethic and their reflection, despite the realities in which they lived. 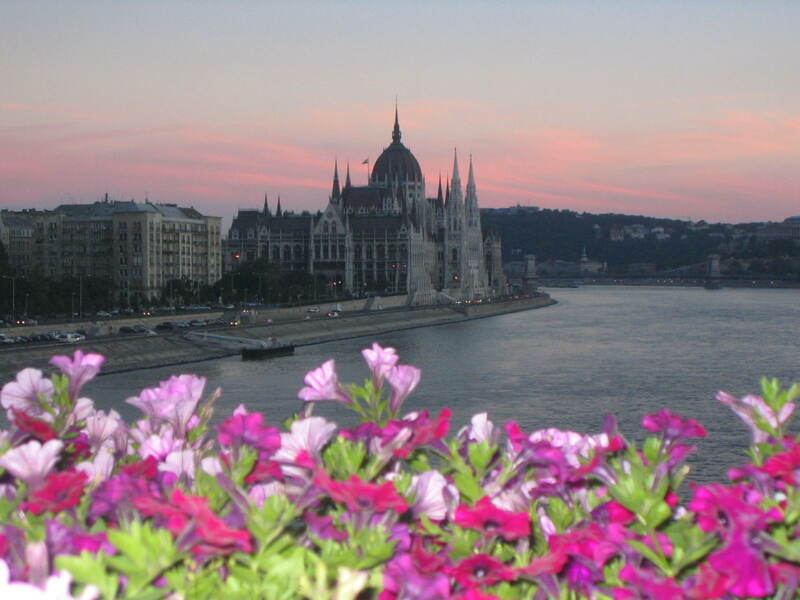 Eager to continue an international education, in 2005 I was accepted to the Master of Environmental Science Policy and Management or, MESPOM, in which the first year of studies took place here in Budapest. Following CEU, we could study in Manchester, UK or Lund, Sweden. I chose Lund – an additional year of hard work, practical lessons, a thesis, and finally – a return to Budapest, to graduate in June 2007. Upon graduating, I was keen to work in the field of sustainability of cities. Cities are sources of enterprise and places of exchange. They also require vast loads of energy and natural resources: significantly influencing the natural environment, and contributing to climate change. Climate change is arguably the single greatest challenge our planet faces in terms of environmental devastation, economic loss and social upheaval. We are conducting a worldwide experiment, in which we do not know and cannot control the end result. Consequently, it is no longer just an environmental problem, but affects all aspects of life and interactions. Cities, such as Budapest, represent an apt platform to confront and address some of the greatest environmental challenges of our time. Cities are a crossroads: physically and metaphorically, and will be forced to adapt, as we plan for the world that future generations will inherent. Budapest, in all its character, passion, pomp and revelry demonstrates both the challenges and opportunities of such a change. Thus, you know my passion area. For students amongst us – despite our particular chosen field – learn what you are confident about, learn what you are passionate about, and invest in that. It can be risky, but after a few bumps and bruises, it will lead you were you want to be. Or at least that has been my experience of it. After graduating, I spent six months at UN-Habitat in Nairobi, Kenya. I visited field projects, attended conferences and engaged with NGOs and university actors. When I arrived, I lived with a Kenyan friend, also a graduate of CEU, and enjoyed the Nairobi lifestyle. My time in Nairobi proved valuable inside and outside the office. Nairobi is a concrete example of the need to improve infrastructure and public services, but also to engage citizen-groups. Following Kenya, I returned to Sweden, to work at Malmö’s Environment Department. Malmö, a former industrial city in Southern Sweden, has become renowned for its efforts to integrate renewable energy and smart planning, whilst improving quality of life. Strategically, Malmö is 30 minutes from Copenhagen, the seat of the next United Nations Conference of the Parties on Climate Conference – or COP15 – in which the future of the world will be debated, negotiated and hopefully will result in an agreement, which will set far-reaching emission reduction targets, as well as to provide the technological support and capacity to ensure such implementations. I am not here so much to discuss what can be anticipated or desired at COP15, so much as I am to reflect on the role of cities in such a conference. For more than 10 years, Malmö has addressed its environmental footprint, significantly reducing its climate emissions, whilst experiencing positive economic and population growth. I have worked in few environments where I have witnessed such sincerity, creativity, motivation, and drive to push sustainability forward, whilst adhering to the policy framework and economic realities that exist. Malmö is an exciting city in terms of sustainability, but faces real challenges: including economic struggles and social integration. Consequently, it tastes a bit like reality, and vision. Standing before you today, I can tell you I am humbled to have been selected to give this address. My story is not unusual, but reflects the process of learning and engagement of a CEU graduate. We are called to be leaders; we are called to reflect greatness in the ordinary. And we are called to follow and engage in positive change. I can testify that there are certainly CEU graduates who have contributed more to society, have more impressive titles and more interesting stories. If there was a reason I was selected for this honour then, I would assume it is based on a mix of honesty, persistence, sincerity and approach. I do not believe in just studying environmental challenges, I am keen to live them. The past years of study and work have taught many lessons, providing skills to work in diversity and adversity. I no longer see barriers, but challenges; which through hard work and determination provide opportunities. I am realistic, but do not want to lose my idealism or my outlook. My feet rarely linger in the same place for long, but my roots are planted in firm soil – my commitment to our planet, and the integrity of the unspoken voices. So then, as we stand here today – in a place defined by its history, its present and its future – let us look back, as much as forward, down as much as up, as we attempt to solve the greatest challenges of our times. Let us remember not only individual gains, but also the collective lessons that contribute to society. In reflecting to my fellow CEU course mates, we have spread across the globe: working in research institutes in England and the United States, implementing environmental management systems in India and Kenya, supporting environmental legislation in Kazakhstan and China, and working with UN and EU institutions in Belgium, Switzerland and Bolivia. Our work is varied, but our passion, common.